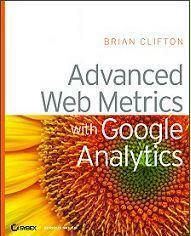 My friend Brian Clifton has written a number of Whitepapers – the most recent one based on a chapter of his his new book, Advanced Web Metrics and Google Analytics, is an interesting read that sheds light on the world of Web Analytics. We use numbers crunched by log files or web analytics tools but rarely take the time to analyse in depth their meaning or degree of accuracy. Google site analytics is a great tool that every business should be using. For one it’s free, but it also provides incredible data and gives you great insight as to what is happening at your website. I am amazed at how many businesses that have no idea that this free tool is available.